Bengaluru: The entrepreneurship and innovation hub of Indian Institute of Management (IIM) Bangalore – NS Raghavan Centre for Entrepreneurial Learning (NSRCEL) – has launched its social ventures incubator to exclusively nurture early stage non-profit organizations. 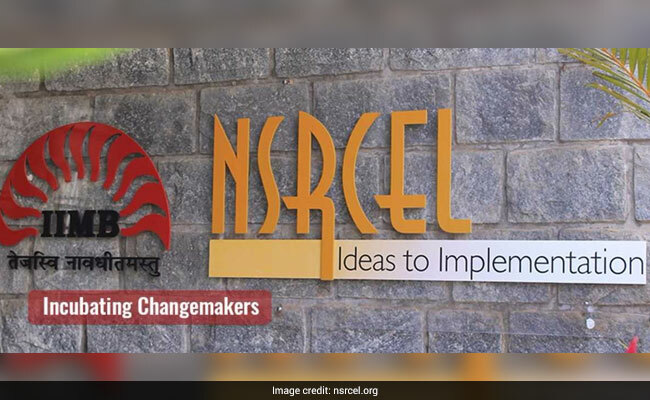 Called NSRCEL Social, this first of its kind incubator in the country, is looking to help social ventures who have potential of delivering impact and offer connects, funding and other wraparound services as is being currently done under the ‘for profit’ model, said a statement from IIM Bangalore. The social ventures incubation program is currently supported by the Michael & Susan Dell Foundation. NSRCEL Social has selected eight early-stage organizations for incubation over the next 18 months. The incubator aims to address the lack of an effective support system for early stage NGOs that are offered little or no technical assistance for fund raising, legal issues and operational challenges. “Our objective with this program is to understand the processes by which we can incubate scalable NGOs. Scalability is difficult to achieve for for-profit start-ups, especially for NGOs. Having said that, some NGOs in India and abroad have done this successfully. Our intention is to motivate nascent non-profit start-ups to build scalability DNA into their organizational culture,” said Dr. Suresh Bhagavatula, Chairperson, Entrepreneurial Ecosystem Development at NSRCEL, IIM Bangalore. According Dr Bhagavatula, NSRCEL Social is attempting to do this in a two-step process: through Launchpad (a quarterly, cohort based 12-week pre-incubation program designed for early stage entrepreneurs) which helps the start-ups decrease their scope of problems they would like to address and in our two-year incubation process, which will help the start-ups build scalable solutions. This initiative aspires to create a proven template for non-profit incubation in India, developing a playbook for nurturing and scaling early stage organizations. Such an approach can be replicated at other academic institutions and incubation hubs across the country, said the statement from IIM Bangalore. “The launch of this first cohort of leaders with the potential to become role models in the non-profit world in India is very exciting for us. The opportunity for supporting early stage non-profits in India is boundless, as there is outstanding talent that can deliver considerable social impact given the necessary support,” said Debasish Mitter, Country Director, India. Michael & Susan Dell Foundation. “Ever since IIMB launched its pioneering non-profit incubator, we have seen a wave of interest from funders and implementing organizations to replicate this approach. We at the Michael & Susan Dell Foundation continue to deepen our work in supporting start-ups, knowing well that the efforts of such talented and committed entrepreneurs is critical for us to achieve our mission, and also necessary for the overall development of the nation,” he added. As part of NSRCEL Social, ventures like i-Saksham, Meraki, Mantra4change, Tarkeybein Education Foundation (TEF), Superheros Incorporated, Guardians of Dream, Bridges of Sports and Anthills Creations have been selected so far.